According to Tom Dreesen, there's one essential rule for stand-up comedy: be funny. He's quick to add something he learned from Sammy Davis Jr. -- you can't make everyone love you -- which he says, particularly applies to comedians. And, if you are thinking about writing jokes, it helps to know that the setup line has to hide the punchline, that there are no "victimless" jokes, and, according to Mort Sahl, someone is always wrong. As it turns out, BEN HOLLIS has been having an on-going conversation with all of us for almost four decades. 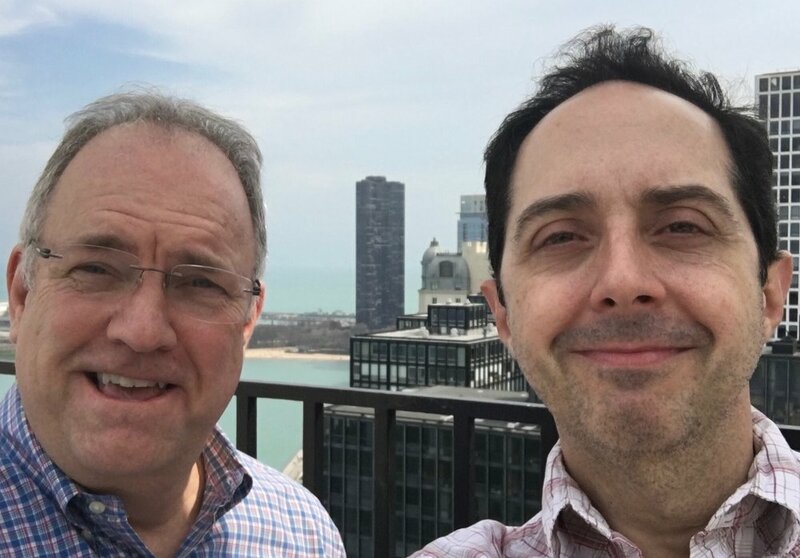 He is the co-producer and original host of WTTW's WILD CHICAGO, and many other Emmy Award-winning programs, that feature his engaging interview style and zany humor, all mixed with unbridled excitement. A consummate storyteller, his focus is squarely on people and places, which is ultimately the point of his shows: to appreciate and learn a little bit more about ourselves and everything around us. 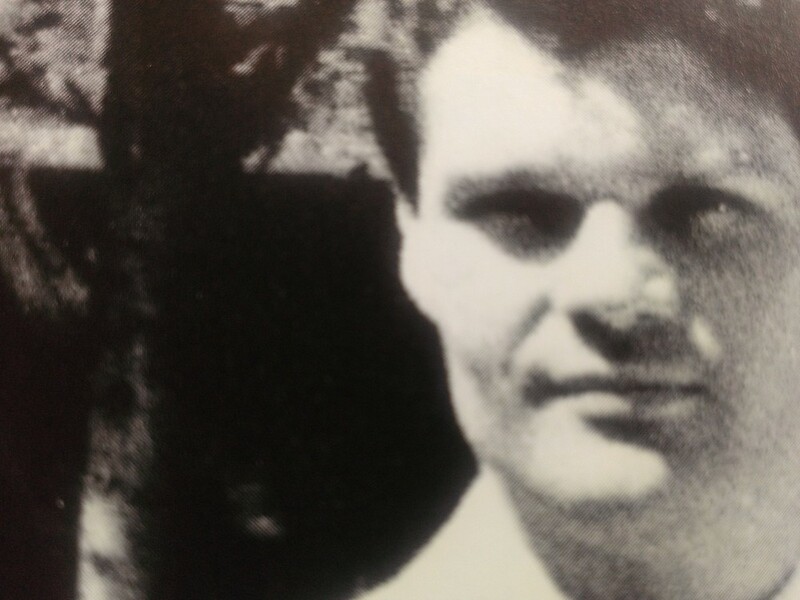 His near-legendary persona – that of the ever-vigilant explorer in pith helmet and khaki shorts with run and gun reporter microphone in hand – places him in a class all by himself. Hollis is smart, well read, spiritual, worldly and yes, hysterically funny, both on and off camera, about whatever topic he’s talking about … including his real-life experiences, which are front and center in his next project. We caught up with Ben on January 9th as he was making final preparations for his upcoming solo show “How the Beatles Nearly Ruined My Life and How David Bowie Saved It” debuting later this month at the Skokie Theatre. 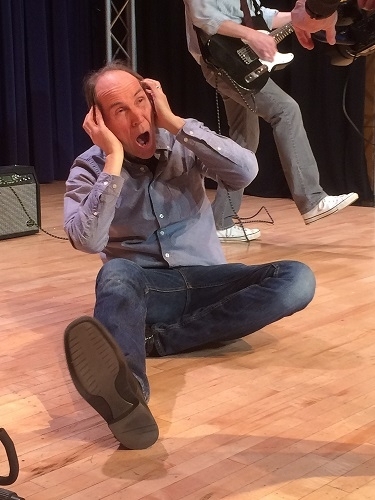 The new live stage venture is a long time in coming, unexpectedly interrupted a year ago with, well … brain surgery! As you will hear on this episode of CONVERSATIONS, Ben’s life took a dramatic turn last January when he was diagnosed with arteriovenous malformation (AVM), a rare and life-threatening condition if left untreated. That medical journey, and the road to the new show, are among the many topics covered in our conversation. As his ever positive and optimistic attitude will attest, we have only begun to scratch the surface of the many talents that Ben Hollis brings to the stage... and we are truly blessed that he is still here to tell the tale. Somewhere between the on-stage chaos of his physical comedic persona and the satire laced lyrics and music of his one-man show, there is a wonderfully funny and madcap place that Bill Larkin calls home. 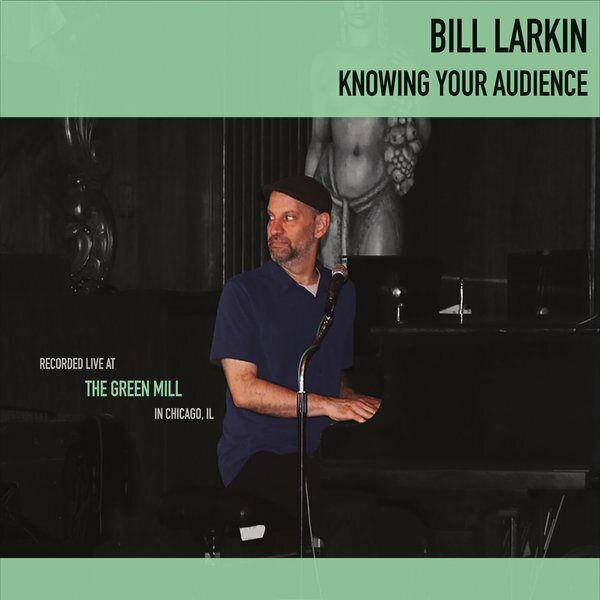 An accomplished and award-winning stage actor, comedian, club performer and writer, Larkin now has his sights firmly fixed on the release this week of his new comic album, Bill Larkin-Knowing Your Audience, recorded live at the Green Mill in Chicago. If you were lucky enough to have been there, you already know that Larkin’s humor is fresh, edgy, perceptive and highly charged. It could be rated “M” for “Mature” or “Manic” … take your pick. Larkin’s stage credits in Chicago in recent years are extraordinary. He received his first Joseph Jefferson Award as Principal Actor in Porchlight’s A Class Act in 2013, and nominated again for A Funny Thing That Happened on the Way to the Forum in 2015. 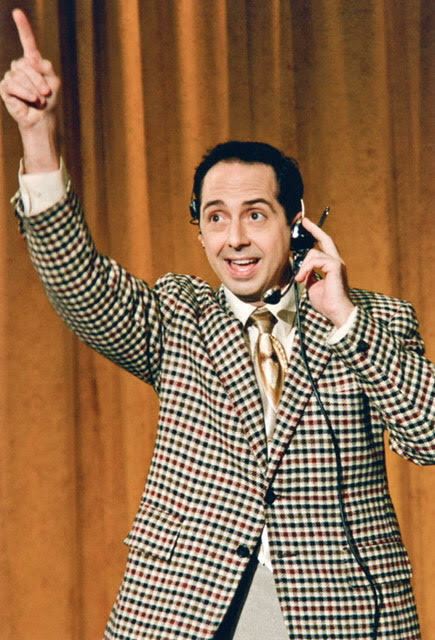 This year, he appeared as Max Bialystock in Mercury Theatre’s The Producers. 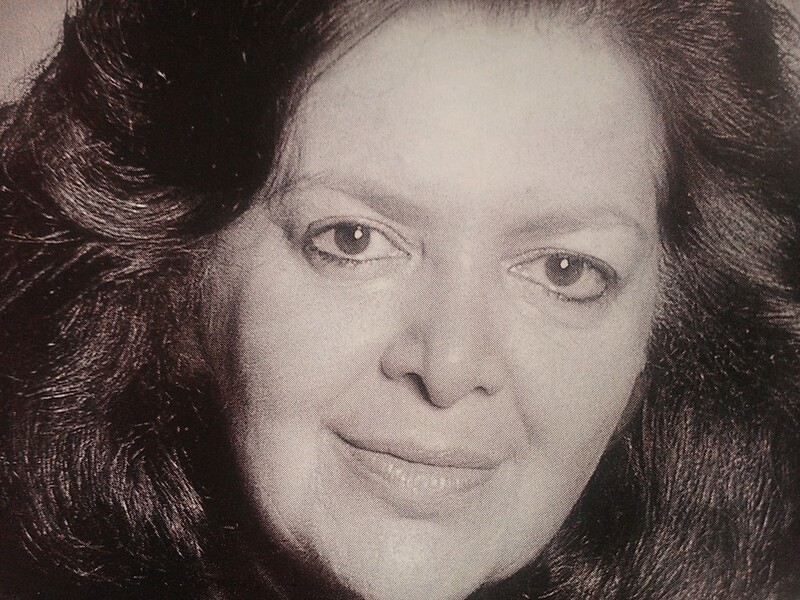 All this followed a multi-year career of theatre including Disney’s Aladdin at Chicago Shakespeare Theater, the 25th Annual Putnam County Spelling Bee at Broadway in Chicago and shows at Second City, Davenport’s, the Green Mill and on television in Chicago PD and Comedy Central. Along the way, he has performed for 16 years at Howl at the Moon. Bill Larkin joined the conversation on December 5th, 2016 to talk about how knowing your audience could help you to find out more about yourself. Matt Crowle, the multi-talented, award-winning veteran of musical theatre in Chicago for the past decade, has a backstory worthy of a Broadway musical all its own. Born and raised in Marshall, Michigan, where he discovered his love for ballet, tap, theatre and comedy at a very early age, Crowle eventually followed a calling to New York City, grinding through years of auditions, dance and voice classes and part-time jobs to make ends meet. His first real break would come as a member of the touring company of Dr. Dolittle and stage time with Tommy Tune. And then came the Broadway megahit, Spamalot. These stories are just part of the fascinating conversation we had on September 27th with Matt Crowle, the six-time Jefferson award nominated actor, choreographer and dance instructor. In a wide-ranging discussion, Crowle talks about who helped to shape his performance philosophy, recognizing talent, the importance of training, and, working with one of his best friends, Bill Larkin. 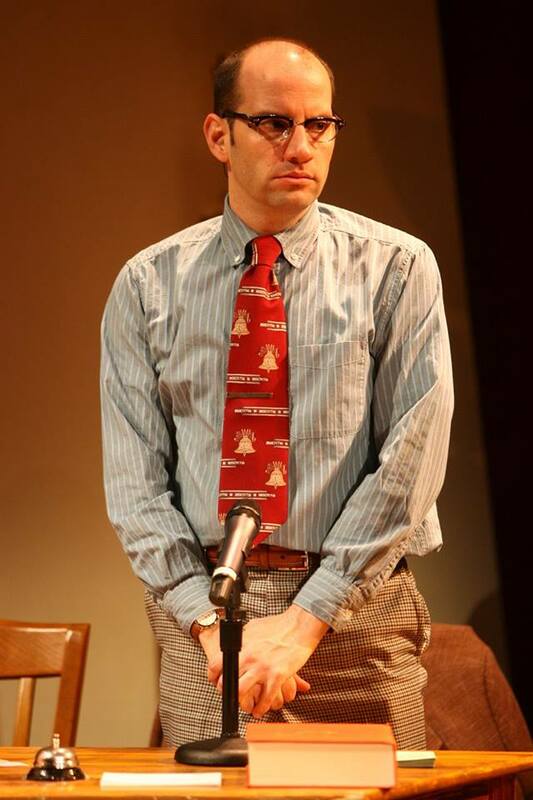 Matt Crowle received the 2015 Jeff Award for his performance as Hysterium in Porchlight Music Theatre’s production of A Funny Thing Happened On The Way To The Forum and is nominated twice in 2016 -- for his tour-de-force performance as Leo Bloom in Mercury Theater’s The Producers, and, for his choreography in the Drury Lane Theatre production of White Christmas. 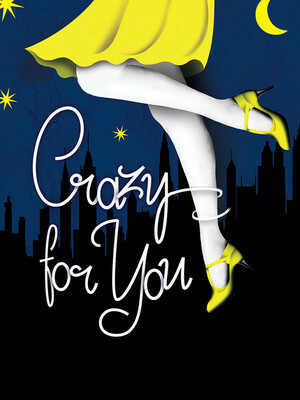 NEXT UP: Matt Crowle is merging all of his formidable talents and vast stage experience as director and choreographer of Drury Lane Theatre’s upcoming production of Crazy For You, running November 3rd though January 8th. "I was working at Ellen’s Stardust Diner and I got a call from Tara Rubin Casting saying we’d love for you to come in next week for Spamalot … and to be honest, it was an eye-rolling moment because I thought 'you’ve seen me… there’s nothing left to do.' I talked to my mom and said ‘I don’t think I’m going to go. I have a shift that night.’ My mom said ‘So, you’re going to sling burgers around when you can audition for a Broadway show !? !’"
"I had a knack at a very young age for falling down really well. I was doing prat falls for a very long time. My parents got a video camera … one day, when I played hooky from school all I did for the whole day was fall off from furniture or jump off of things and fall and then I’d go back and watch it in slow motion to see if it was believable enough." “I think the first real exposure to physical comedy for me would have been Steve Martin. My mom and dad loved Steve Martin, listened to his stand up albums, watched Roxanne, The Jerk and, of course, Three Amigos. So much of my generation is about vulgar humor… But I thought clever always spoke to me. Clever and simple because it’s not easy. It’s not easy to weed out all the stuff you don’t need just to find that nugget, that gold nugget of truth and streamline simplicity … And then I was turned on to Keaton and Chaplin and went back over and over again saying, ‘What is it that makes it so perfect'"